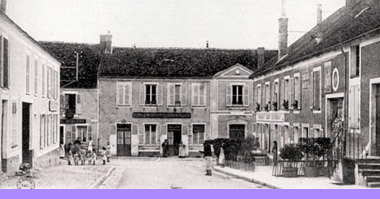 Some of the happiest times Robert Louis Stevenson spent in France were at the Bohemian artists' colony at Grez. It was here he met his future wife, Fanny Vandegrift Osbourne, an American who had come to France to study art and escape from an unhappy marriage. Stevenson wrote an account of this impulsive voyage. He also described his train journey across America from New York to Monterey on the west coast, where he experienced the raw life of the frontier.